President Trump’s protectionist policies in the US have costed a large number of jobs in the solar industry. The Trump tariffs announced in January 2018 imposed tariffs on solar panels that were manufactured outside the United States. The tariffs will be 30% initially and decline to 15% over the next four years (reducing by 5% each year), exempting the first 2.5 GW of imported solar cells. These tariffs have faced protests from nations worldwide, claiming that they would hurt the growth of renewable energy globally. You might also like to read about the 12 Biggest and Best Solar Panel Companies In The World. Not only globally, but these protectionist policies have also hurt US domestic industry. Trump’s tariffs on solar panels have already led to the freezing of solar projects worth $2.5 billion in the US, as well as losses of thousands of jobs. The US solar industry provides employment to more than 250,000 people both in manufacturing and installation sectors. One of the major setbacks of tariff imposition was a rise in the price of modules. Also, read about India’s take on Safeguard Duties. However, recent numbers prove that the magnitude of damage wasn’t as large as expected. According to the SEIA, the US saw an addition of 2.5 GW in capacity in the first quarter of 2018, which was up 13% when compared to the last year. Strong demand was supported by a large number of corporations vowing to increase their green footprint and thereby signing large contracts. Many companies such as Jinko Solar, LG Electronics and SunPower are planning to establish/ expand their manufacturing in the US to avoid tariffs. 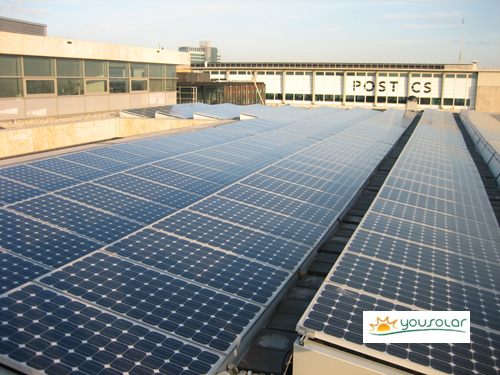 The advantages of going solar are overcoming all hurdles in its way. People are more aware of solar’s future benefits both economically as well as environmentally. Contrary to the initial fears, the industry has not been that badly affected. There have been 9000 job losses in the US solar industry, as against the estimated number of more than 20,000. Many developers had stocked up earlier, fearing the imposition of tariffs. Few in the industry also hold the belief that the module price rise in temporary. The utility-scale solar sector was the one which was worse affected than the rooftop solar sector. In fact, one of US’ largest installers of utility-scale solar, Cypress Creek Renewables, had canceled 1.5 GW worth of projects because of tariffs.